A unique space for a unique brand ! 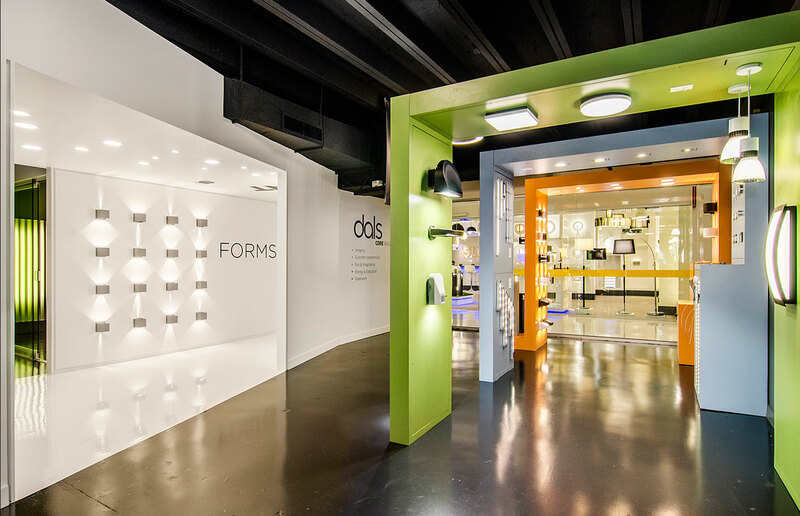 To get closer to their U.S. customers in order to present them with its LED product line, the Quebec manufacturer Dals Lighting wanted to open their first sales office in the United States. 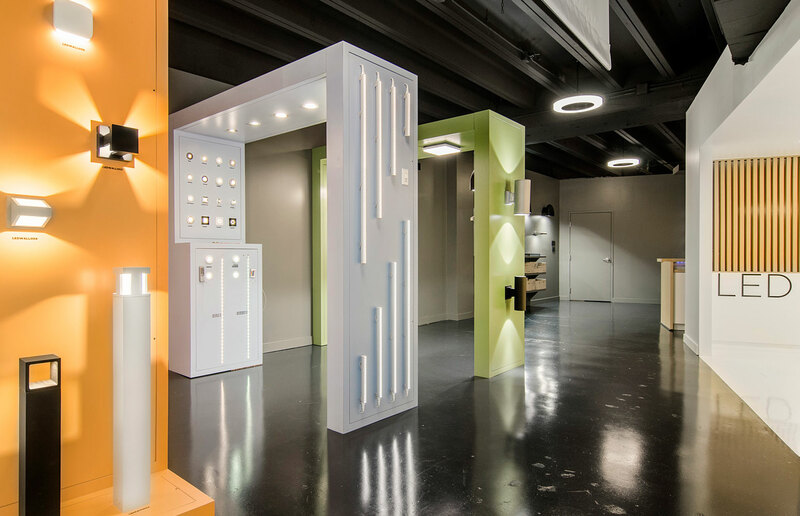 Given their distinctive positioning in the U.S. market, they wanted their sales office design to be in keeping with their image — unique! With a completely empty space, the challenge was in finding a way to present the different product lines in a lay-out that could adapt to the evolution of the lines. 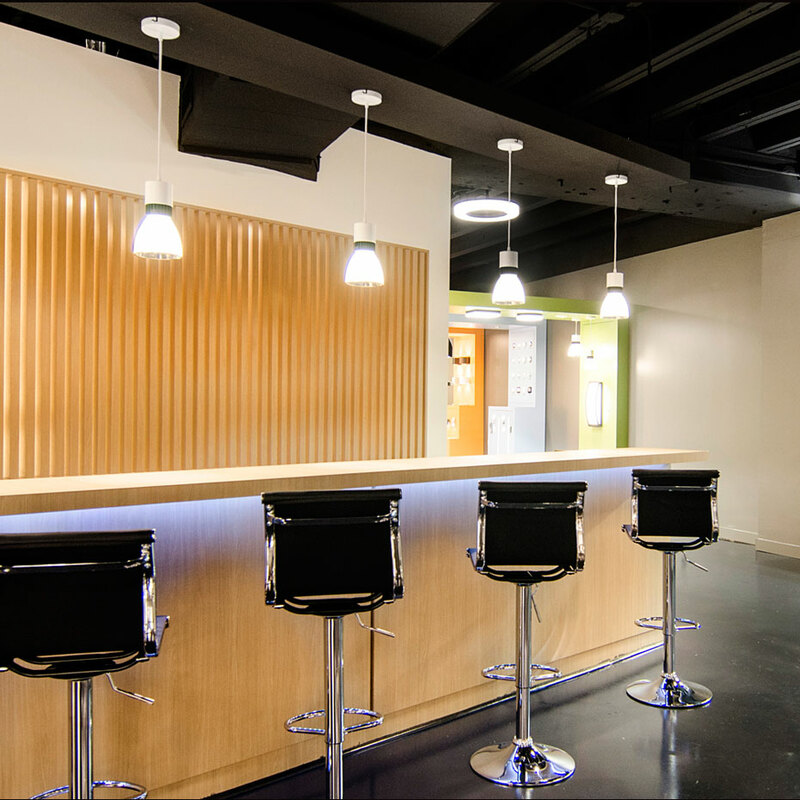 The client organizes promotional events in their space, so the hospitality factor was important to them. 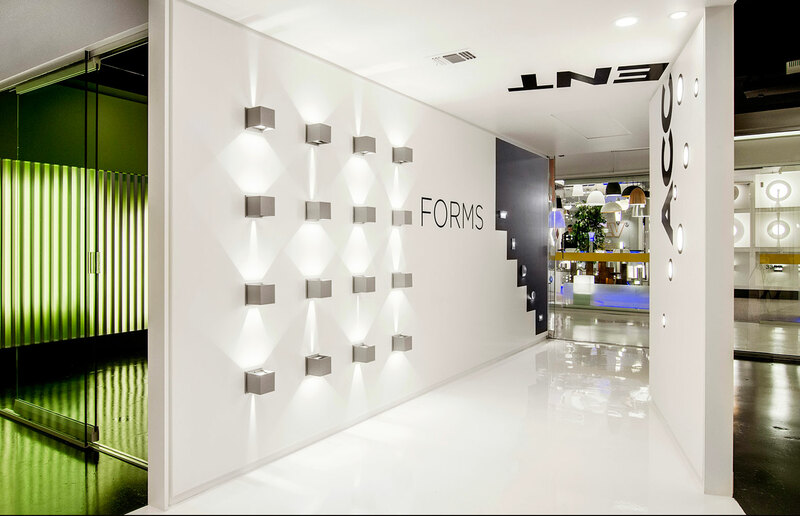 We worked the layout of the showroom to optimize the square footage of the premises. A large window provides an overview of the products, but it’s the big entrance hall that sets the tone. 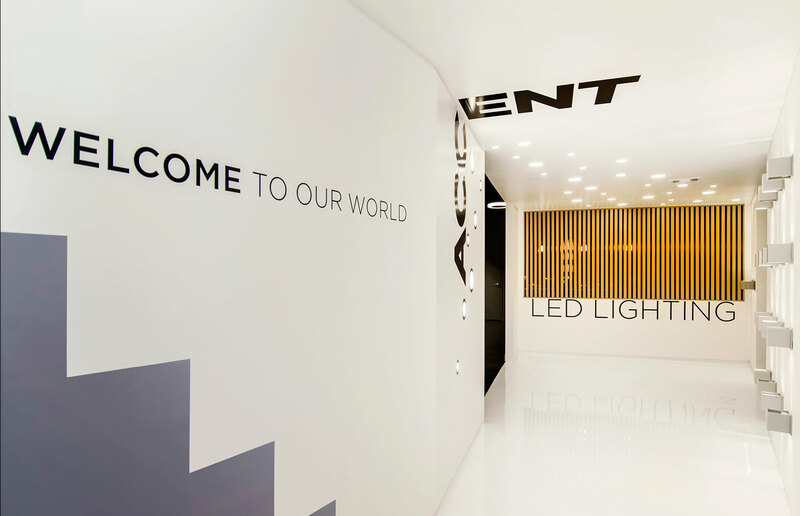 Brightly lit, it showcases products on all surfaces and offers a word of welcome by the door. 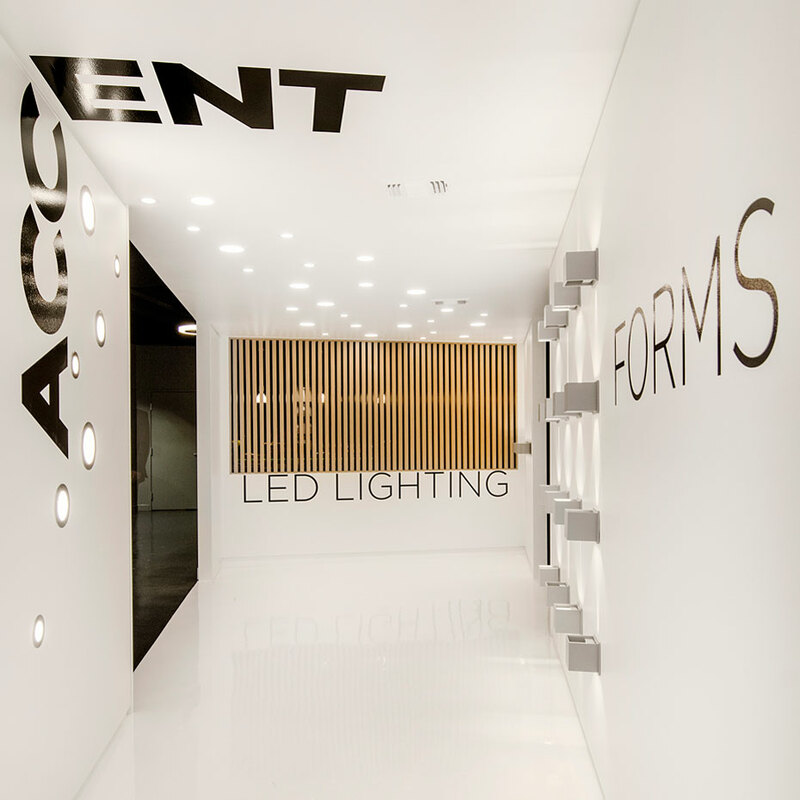 After crossing the light-filled corridor, the visitor arrives in the showroom where products are clearly separated by line. Continuing toward the back, we arrive at the hospitality area where refreshments are served and lively discussions set the space abuzz. For serious discussions, we’re invited to move to the meeting room, which also features the company’s products.